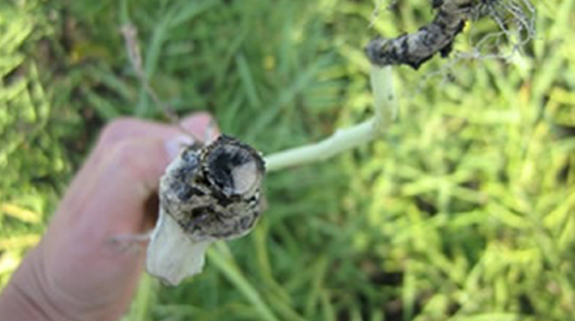 Blackleg is a serious disease of canola across all canola growing areas. It requires an integrated management strategy utilizing the best agronomic practices to minimize yield loss and maintain the effectiveness of genetic resistance in our varieties, our most valued management tool. The development of blackleg tolerant varieties have provided canola growers in western Canada a honeymoon from the disease, but tight canolarotations and the development of new pathogroups that our ‘Resistant’ rated varieties do not have resistance to, are again leading to reduced yields andincomes for canola growers. You may think that you don’t have blackleg problems, but can you explain reduced yields in some fields and premature ripening when the fields lookgreat all year long and you did everything ‘right’? Blackleg is the second most prevalent disease in Manitoba canola fields based on canola disease surveys from the past few years. 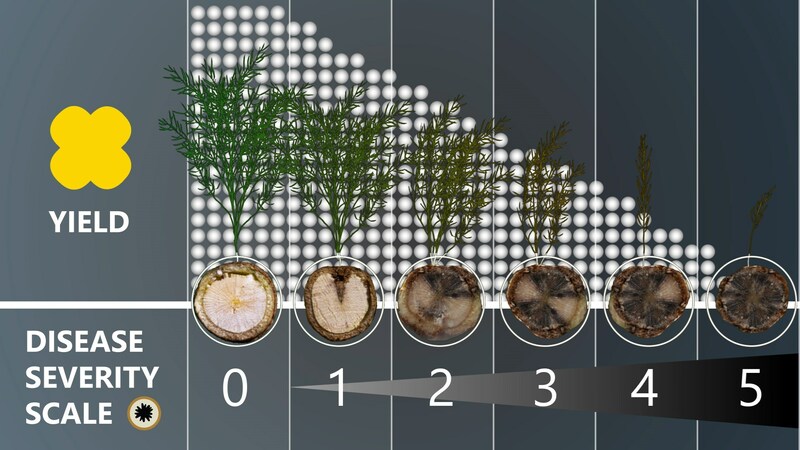 Research from the University of Alberta/Alberta Agriculture & Forestry found that for every unit of increase in disease severity, a 17.2% loss in plant seed yield can be expected. Pod number and seed yield both declined linearly as blackleg severity increased. Typically, lesions on stems are usually white or grey with a dark border and dotted with numeroussmall black pepper-like specks (pycnidia). Stem lesions can also be much lower on the stem at the base looking like general and severeinfections can cause the stem to girdle at the base, plants to ripen prematurely and the crop to lodge. Weather events within the season can also provide opportunities for symptoms and infection to develop such as hail, providing stem damagefor the rain-splashed blackleg spores to enter the plant and frost to provide cankers for the same entry by rain-splash spores.